Europe’s premier tribute to the supergroup FLEETWOOD MAC, bring you on a magical musical journey from the Peter Green blues era to the multi-platinum selling band that still tour today. 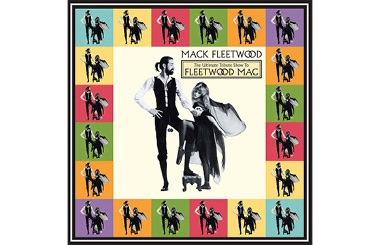 MACK FLEETWOOD bewitch their audience with authentic renditions of all your favourite classic FLEETWOOD MAC hits. Their love of the material and musical prowess shines through each song. MACK FLEETWOOD deliver their professional spellbinding show with energy and verve. They are selling out major music venues, enthralling crowds and receiving rave reviews where ever they go. Book early to be sure not to miss this opportunity for a truly brilliant time with one of the best tribute bands ever. During the 1960s Peter Green, John McVie and Mick Fleetwood all played in the legendary John Mayall’s Blues Breakers as did Eric Clapton. Peter Green’s Fleetwood Mac emerged as a classic blues band with haunting songs that went way beyond the blues genre. They had several hits most notably Albatross and Black Magic Woman and Oh Well, which influenced scores of others great bands that were to follow them, such as Led Zeppelin and Santana. When Peter Green left the band, Mick Fleetwood & John McVie kept the show on the road, going through several guitarists/singers and being joined first by Christine Perfect (later McVie) and then Lindsey Buckingham and Stevie Nicks. These three talented performers and prolific songwriters brought a distinctive style and unique fusion of rock, pop and country to the band. The turmoil of their private lives was played out in their music. Fleetwood Mac enjoyed a rebirth, producing many classic hits including the incredible Rumours and Tango In The Night albums and went on to even greater worldwide success.